We checked into the JW Marriott. Like always they upgraded me to a beach-facing suite, only this time was so much better since I was on a leisure trip (rare) and spent time watching the sunset with my wife (even more rare!). Juhu beach is among the most crowded; the only place where it looks remotely pretty is from the rooms of the JW! However, there is magic in the changing colors when you watch the sun go down over the oceans. 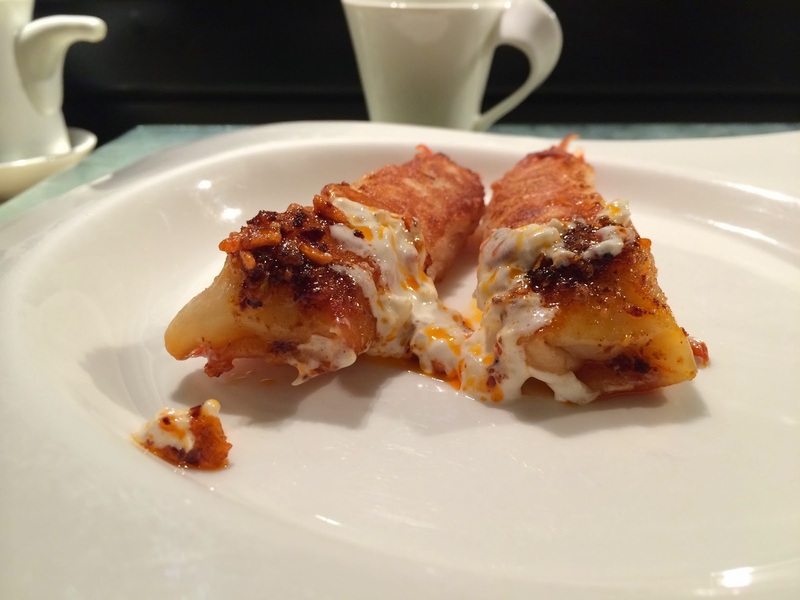 That night I had intended to take my wife to Konkan Cafe at the Taj in Cuffe Parade. I happened to mention that Wasabi by Morimoto was my backup option and she immediately jumped for that one. The catch? I had no reservations and this was a Friday evening. Well, the world belongs to the brave, and brave it we did and with great results! 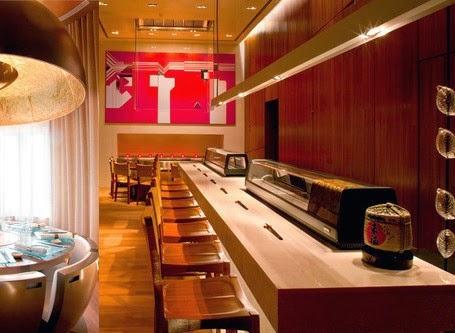 Wasabi is Iron Chef Morimoto's trendy, upscale Japanese restaurant at the Taj Palace in Mumbai. 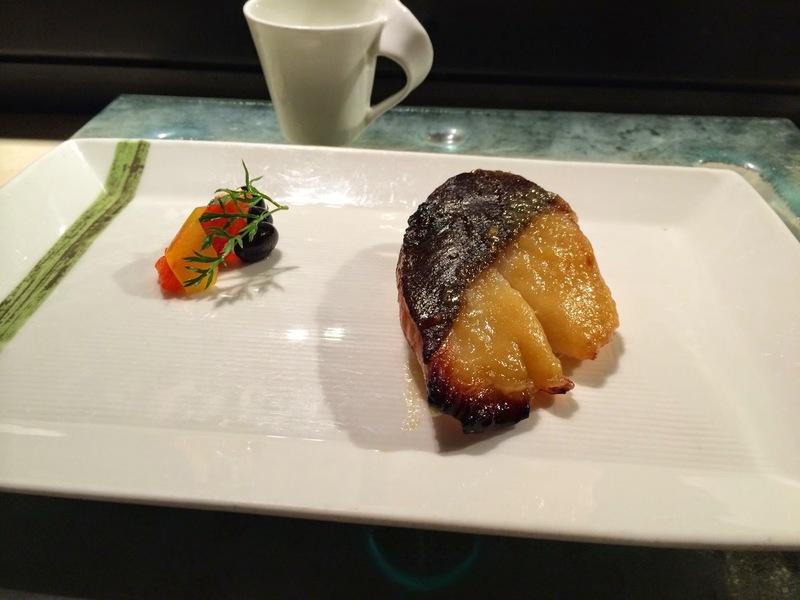 Among the most expensive restaurants in the city, Wasabi retains its reputation for upscale dining among the rich and the beautiful. This is clearly a place you eat to not just enjoy the food, but to see and be seen. Red, gold and deep browns with contemporary furniture design and a sushi bar makes up the main dining room, which you enter through a private elevator that opens into their lounge. 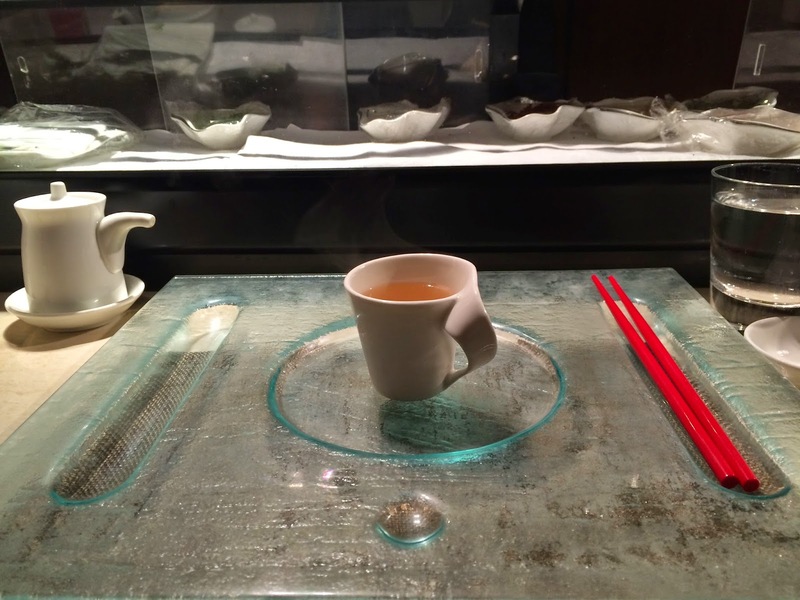 We were seated at the sushi bar and before long had placed our order. I had ordered our sake warm. While most good sake is best had lightly chilled, I thought it would be an interesting experience for my wife, who was trying sake for the first time. After all, that is how sake was served traditionally. 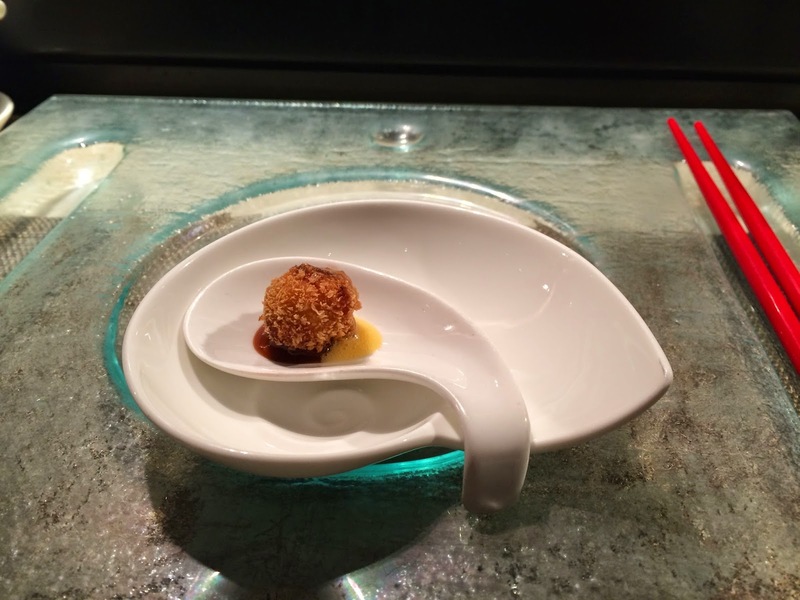 They brought us small amuse bouche to get our taste buds going. The Rock Shrimp Tempura with spicy mayonnaise and Spicy Tuna Sushi roll made their way soon after. Both were perfect on the palate in texture, flavors and taste. Next came the Dobin Mushi soup, steamed in a pot with shrimp, chicken and mushroom. Now, this was a delight. Richly flavored, this soup brought out the best in the seafood and we took our time savoring its excellent taste. We ended with an entree of Chilean seabass and Wasabi fried rice made with chicken and crabmeat. Again perfectly cooked and delicious. By the time we were done, we were too full for desserts and the restaurant was past its closing time. The chef had noticed me educating my wife on aspects of Japanese cuisine and asked me if I was in the food business. We chatted a little before walking out close to midnight - two very satisfied guests! The next day begun on a relaxed note and we took our time getting up. The sun was well up when we asked our driver to take us to the Palladium mall. After competing a few shopping chores, we sat down at Cafe Moshe's for a quick lunch. 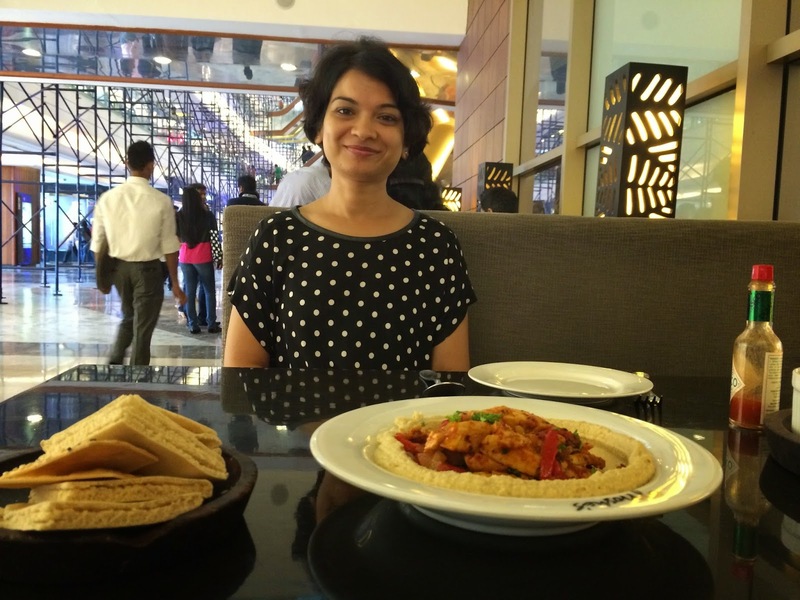 A popular cafe chain in Mumbai that professes its love for organic food, they serve a combination of Mediterranean and continental comfort food with decent coffee in the glittery environ of Palladium mall surrounded by branded fashion names. 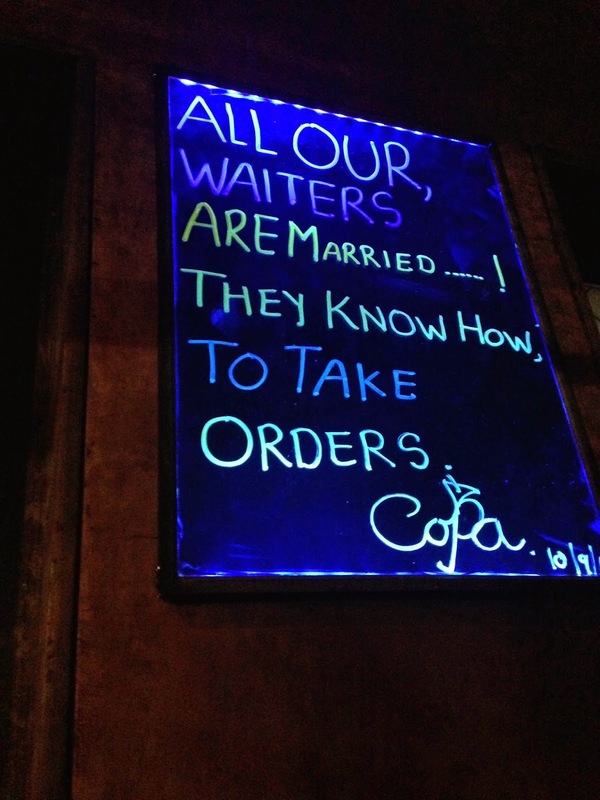 Another highlight from this trip was Saturday night when we popped into Copa in Juhu. By the time it was 9 AM, the place was completely filled. We had decided to take a seat in the al-fresco section which is rather tastefully (and quirkily) furnished with a variety of seating options from swings to barstool seating and low benches. Music was retro and the noise level not too high for a bar on a weekend! Most importantly, the drinks were mixed just right and had enough alcohol in them. The bar food that had a variety of lip-smacking Indian and Middle-Eastern delicacies was surprisingly good too. Try the Big Booty if you want an interesting tropical cocktail served in an even interesting mug. 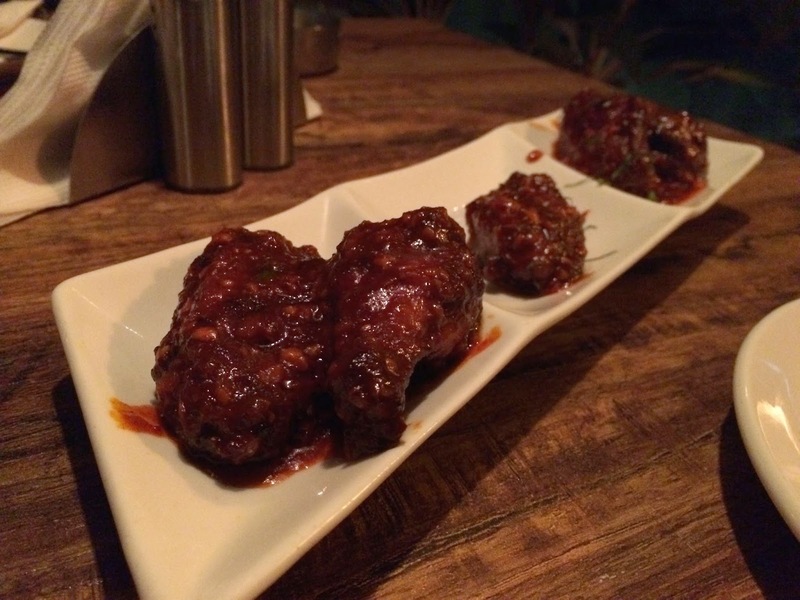 The Old Monk and Coke glaze Chilly Chicken is another must-have if you like spicy food. 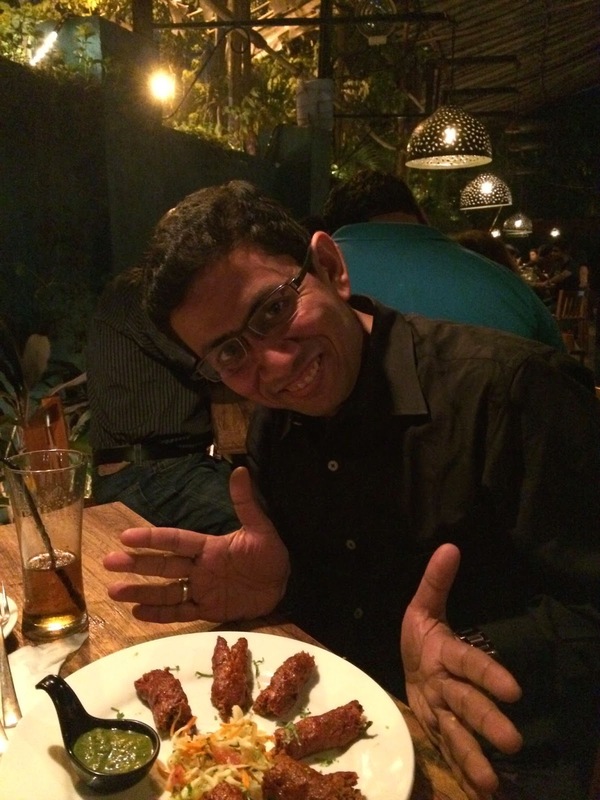 The Chello Kababs were not too bad either. 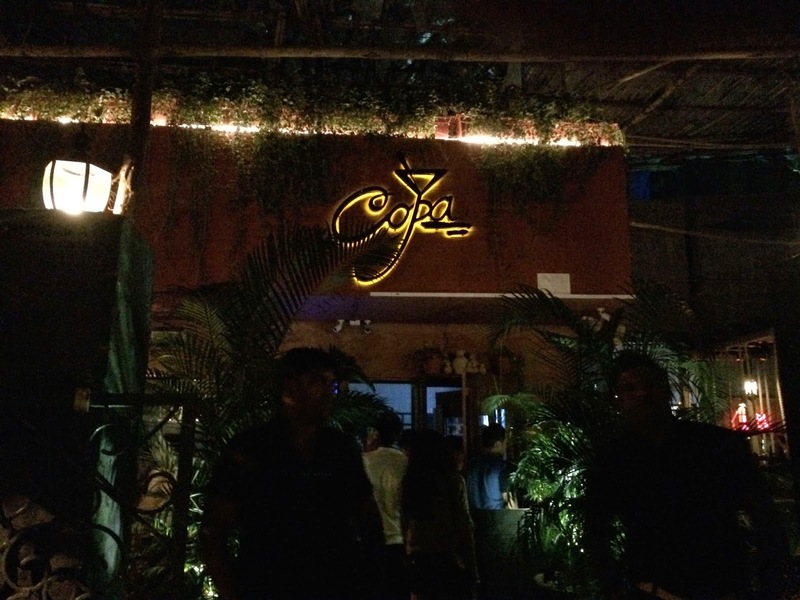 Overall Copa turned out to be a fabulous place to hang out with a good music, fantastic food and drinks and surrounded by a fabulous crowd of merry-making Mumbaikars. I am sure there is no better city in India than Mumbai for nightlife. Delhi and Bangalore can disagree, but the three ingredients that go into a great experience only exist here: enough places that open till the early hours, variety and loads of fun people that populate them. Mumbai is known for its fast life. 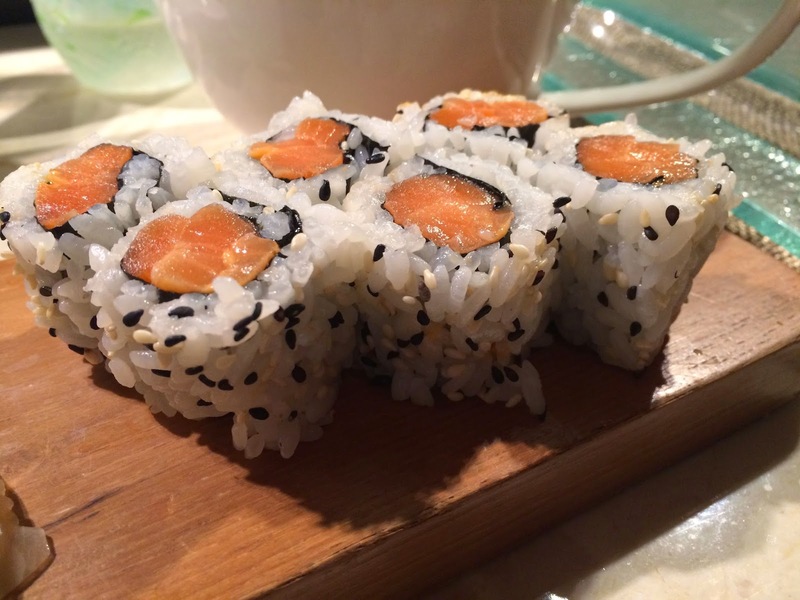 Sushi looks yummy.